How Do Agricultural Fertilizers Work? Scientists have identified at least 17 essential elements that are necessary for plant growth, 14 of which come from the soil (the others come from water and oxygen). Repeated harvesting of crops on a plot of land depletes the soil of those essential growth elements. Agricultural fertilizers work by replenishing the soil with the nutrients necessary for productive plant growth. The advantage of commercial agricultural fertilizers is that they work with little effort and expertise on the part of those applying them. But they have their downsides……. 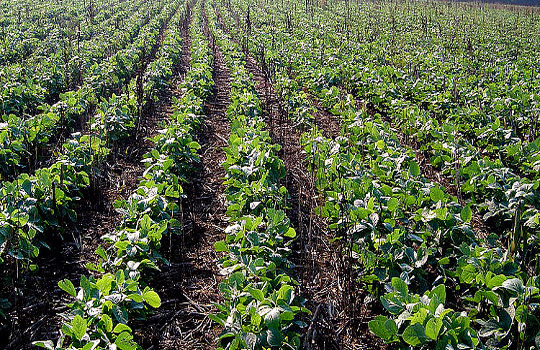 If overused, agricultural fertilizers can kill plants and damage the soil. It’s pretty hard for you to manufacture your own fertilizer so you generally have to buy it….. and it isn’t cheap! Many agricultural fertilizers are toxic to humans and pets if fumes are inhaled or consumed or if there is prolonged contact with skin. Both chemical and organic agricultural fertilizers can cause environmental damage through run-off during heavy rain events. For example, nitrogen and phosphorous in chemical fertilizers and bacteria in organic fertilizer can cause excess algae growth in waterways and harm the quality of drinking water. Agricultural fertilizer boosters, such as BioWash, help fertilizers work more effectively by increasing the ability of plant root absorption of necessary nutrients and water. Because the plant can function more efficiently it is better able to take advantage of the nutrients and moisture already available in the soil, therefore requiring less fertilizer to achieve the same results. BioWash reduces fertilizer use while actually increasing plant growth and yield. It increases BRIX (sugar content) of plants, resulting in more flavorful food and reduced insect damage (some insects can’t digest plant sugar). It improves crop production while reducing costs. It is good for human health and it’s good for the environment; a win-win proposition!